3 Ways to boost your stem cells naturally! Wait, what are stem cells? However, our stem cells age, just like us (ugh). 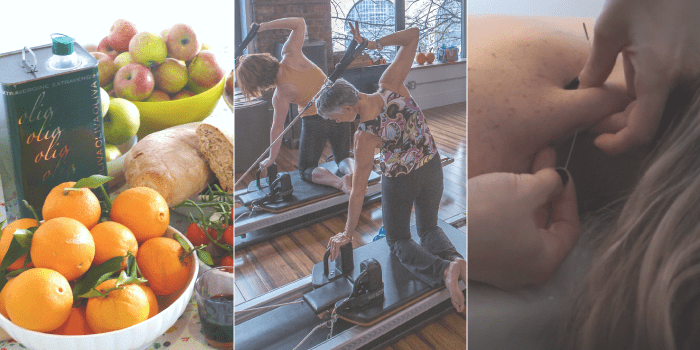 So Physio Logic’s Clinical Nutritionist, Michelle Miller, MSACN and Samantha Wineke, Health Coach share a few tips to keep them in tip top shape for as long as possible. Proper nutrition can help increase the proliferation and growth of stem cells. Research shows that certain foods can diminish or promote cellular restoration. One of the key changes you can make to your diet to enhance your stem cell function is reduce your sugar intake. Elevated glucose reduces proliferation of mesenchymal stem cells. What’s that scientific jargon mean? It means that the more sugar you consume, the less likely your stem cells are to thrive. Lifestyle impacts the internal enjoinment that stem cells can thrive in. This includes anything from getting enough sleep, practicing relaxation techniques and avoiding radiation. It’s no surprise that exercise alone increases activation and proliferation of stem cells for muscle regeneration. Acupuncture has also been shown to increase the body’s ability to mobilize its own stem cell production and healing properties. You read that correctly! Just kicking back and breathing, all while getting acupuncture done could improve your body’s ability to heal itself. Acupuncture also balances the nervous system and increases circulation making it easier for the body to heal itself without the use of medication. If you’re interested in learning more about the regenerative power of stem cells, we invite you to attend one of our monthly seminars, Pain, Pain, Go Away! – Stem Cell Therapy & Regenerative Medicine Explained. You can also contact us directly using the form below.